"In the mid-1980's, there was nothing quite as good as entering into what we called "the zone," when everyone in the circle was intent on only one thing--keeping the footbag aloft. 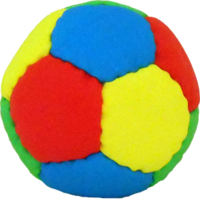 The circle would move with the footbag, not vice versa. 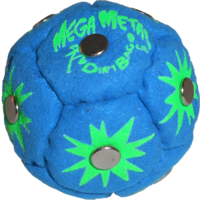 I mean to say that no one person tried to control the flow of the footbag and the person next to you was always there to cover your possible drop with their own "save." In this kind of play and movement, trust could be developed within the circle which could elevate the play to something greater than what one individual could accomplish. It was like being transported to a higher level of play. That is what I experienced in footbag, a co-operative form of play adequate for a new age of sport and that is why I made footbag my game, my sport and my living. See if you can 'catch the magic'! Flying Clipper's roots reach deep into Footbag history. It's founders are all long-time kickers who have kicked for both fun and competition. All three partners are former World Footbag Champions and have each successively been inducted into the Footbag Hall Of Fame. They understand footbags from the inside out and pride themselves on creating top-quality, tested bags that fly. Because all three partners are also avid jugglers, Flying Clipper also enlarged its footbag designs to accommodate juggle balls. Reed Gray, Jim Fitzgerald, and Dennis Ross created Flying Clipper in 1983 to handcraft a complete line of superb play, exceptional quality footbags and juggle balls. Breaking into the market with three innovative designs: the Tangent, The Octoe and the Footpet, handcrafted in cowhide and chamois. Named after the "flying clipper" which is one of the first trick kicks ever invented, Flying Clipper also evokes the speed and genius of legendary Clipper Ships of the 1800s. The innovative, sleek design of these wooden vessels revolutionized the world of shipping with grace, beauty and astonishing speed. Cutting edge design is a hallmark at the Clipper Shop. 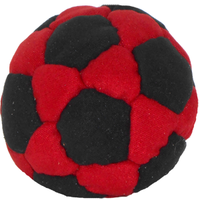 Flying Clippers' footbag designs and sewing techniques have become the standard in the footbag industry worldwide. Flying Clipper revolutionized freestyle competition with the Juice Facile. At the Footbag National Championships (the World Championships of its day) in 1985 as Kenny Shults (winner of more than 50 National and World Championships) was accepting his "all-around" footbag championship honors, he took out his new Juice Facile Footbag, rolled it in his hands and said: "This is the Juiciest footbag I have ever kicked". The crowd all started chanting "JUICE, JUICE, JUICE, JUICE. Hats off to Shannon Aubin of the Awesom Aubins who was living in Eugene and working at a local fabric shop. She told us "you should try out this new fabric called Facile ". Thanks Shannon! Without you the Juice Facile could never have been born. Your contributions have been many in number. Not stopping there Flying Clipper went on to create the Juice Netbag which has forever left its mark on the game of footbag net. 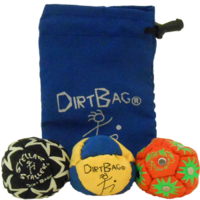 In touch with the changing world of footbags, we listen to the players and they told us they wanted a sand-filled bag. When we realized that nothing of quality was available on the market, we designed our first hand sewn sand filled footbag. After achieving a "no-leak" hand sewn footbag, Flying Clippers' Dirtbag® is quickly becoming the standard for new kickers...see for yourself, check out our catalog! About Us. Looking for Where to Buy Sandbags? Flying Clipper is the leading designer of high-quality handmade Footbags and Juggling Equipment including Juggling Sets.